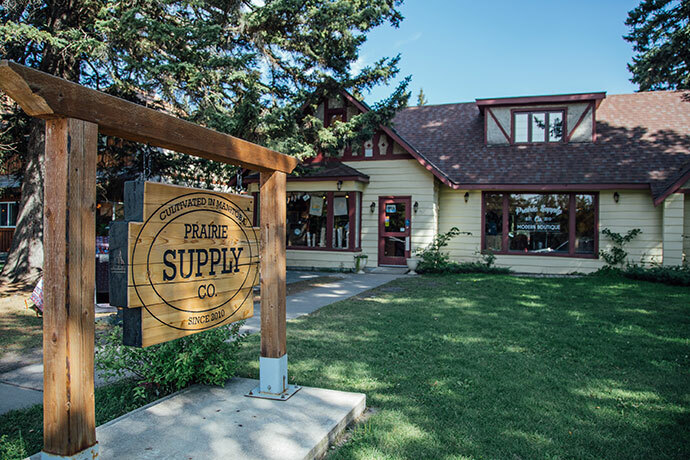 Prairie Supply Co is a general merchants store situated in downtown Dauphin, Manitoba, with a seasonal store located in the village of Wasagaming, Riding Mountain National Park. Prairie Supply Co offers an exclusive variety of lifestyle products, strives to provide a unique and unforgettable shopping experience, and offers unbeatable customer service to the community. We are proud to support various brands from across the continent, including our own, which has become a household name in our province. We provide a trending assortment of clothing, hard-goods, shoes and accessories, in order to support our ever evolving seasonal activities. Our customers are greeted with personal and professional service, exceptional product knowledge, and the reassurance of shopping local. Prairie Supply Co has been cultivated in the prairies, and homegrown in Canada.